Discussion in 'Education, Learning, Books' started by LightHouse, Nov 5, 2018. Man, let me tell you. We are going to have some rock stars here real soon. Everyone is getting rolling now and some real potential is about to be unlocked. There is 1 Spot left that was held but released today. Last chance to get half the investment cost now as there will be no more at that rate after that spot is full. Will more spots become available in the future? Hey Andy, I still have 4 spots at the next rate until I am at capacity. You can see that offer at the same link above. I look forward to hearing from you. Have any of you got started? I'll tell you, you can put it off another week, but those that started the week I started this thread are already making massive efforts to achieve their big goals. It doesn't involve trying to finish everything in a week, it involves working towards it bit by bit and massive change starts to set in. It gets easier as the weeks go by and results start flowing in. If you haven't started getting accountable with someone, start today! If you don't have a partner and are not ready to pay for one, at least use the docs to plan your week. This is CRITICAL. It will make a massive difference in your progress and also reducing anxiety and stress as you charge towards whatever success looks like to you. Time for an update on your action takers. What's happening with this? Hey! .... You tryin' to change your life today? Roz and Lex DeVille like this. Plus lets hear from some of the customers. Where you at? I have found an accountability partner from this forum because of this thread, we begin tomorrow! I started working with Chris last week, so I'm still trying to figure out the best time for me to do my weekly planning, follow-ups, and how to best keep my action item list on the forefront of my day to day. I'm primarily doing this to help build the positive habits I need to continue to grow and succeed. With that in mind, one of the items on my list last week was to clean up my content pages and add buy links to my products. I had been meaning to add the option for customers to buy my products in two-packs, but had dragged my feet on implementing it for months. Since it was on my list of stuff I had to do, I went ahead and did it because I didn't want to tell Chris that I was just too lazy to get it done. Since implementing it, multi-pack sales comprise nearly 30% of all my orders. That alone will pay for an entire year of his service. astr0, Kruiser, LightHouse and 1 other person like this. Dang, was just going to drop you a line. Procrastination strikes again. Anyone else looking for a partner? Thanks Vig. I have strict confidentiality agreements with every client so I can't get into details, but I can tell you a bit on the macro level. What I have seen is a massive re-alignment in each client. Each one is in a different place in their business and life, and some are working with similar issues day to day. So far we have found out what motivates each one, what their vision is for being at a peak state (their 10/10 state) and figured out a simple road map of what it takes to get from where they are, to where they want to be. Once they figured that out, we focus on planning the weeks and setting their one thing for the week. That one thing will ensure that no matter what happens, we are always moving forward. That relieves a bit of the stress, anxiety, and confusion week over week if they get stuck in the weeds on tasks. Every client has been building and training their mind and bodies to produce better results during the day, and more valuable "no work" time at night. We've focused on getting home life and personal life straight so they can ENJOY this adventure rather than suffer through it, hoping for the carrot at the end. This alone has created lasting change for some of them. Some clients have been focusing on delegating and removing LVT's or Low Value Tasks from their weekly lists. This ensures they are working on their business more than in it, freeing up their time by weighing their personal value against their resources. If they have no resources yet, they are getting some and also working on becoming more flexible and resourceful. Overall, Every client has made big leaps in what is possible, all while enjoying each day more and more. As this builds, we are going to see some massive success stories come out of these folks. I am excited every week to continue riding along on their journeys. astr0, lowtek, Andy Black and 1 other person like this. Love this, thanks for posting it here! I know we talked on PM, but just pointing this out again. I am sure someone will read and reach out. This is too low volume for me to build a list of open partners but if it picks up I can always do that. NateKruse and garyfritz like this. How has this been going? Thanks for asking. It’s going well! It’s forced me to stay engaged with the process long enough to recognize more flaws in mindset and method so I can course correct. Each week my goals have changed somewhat as I adjusted my approach based on how the previous week went. Having an accountability partner has defineatly accelerated my personal growth and I’m sure will accelerate the process of building a business once I select my next venture. This is excellent news. If either of you want to pass by a copy of your weekly goals, i will certainly take a look and offer suggestions for a single week. Just want to make sure you all are on the right track and focusing on the right thing. Also, don't stop. Consistency is everything even when things get hard. For those that are on the New Year.... New Me train. Get started with this, Don't let another year pass you buy where you missed your goals and allow yourself to feel like that is anyone fault or anythings fault other than your own ability to wake up in the morning and thrive all day. All the documents are here in this thread and free for you, all it takes is a bit of effort to find a partner and get started on calls in Jan and never stop them (unless they don't work for you, then change it up). I have 1 spot open now if you want to take a shortcut and get the best from the start. I think I will have another spot open in a week or two as well. Even if you can not afford or don't have the mind space for that right now. Start on your own weekly sheets above and hold yourself accountable above all. ......so get up, move around, get some water.... and get started today! Jello, ManlyMansNegator and UnrealCreative like this. I have tried quite a few number of accountability partners in real life.It always ends up with me being pushywhile the other person is lazy. I appreciate the offer. Unfortunately the partner I had kept flaking out on our calls, so I'm looking for a new partner. It was a bummer, I've gained quite a bit of momentum because of this, but apparently the other party did not feel it was worth their time. Did a few months with @LightHouse and can honestly say I'm in a different place because of it. Chris laid out the importance of setting weekly (and quarterly) targets for all areas of my life. Business, health, family/friends. Health and family were always important to me, and I had aspirations for that, but never actually sat down and made goals for them before. And it was tough! Trying to think of something out of the ordinary to do for my wife once a week is harder than it sounds. But I stuck to it, and our relationship went from a 3 to an 8 in a few months, and we just recently got back from a 3 night trip to Santa Fe... sans kids! It was amazing watching the way she acted towards me over the course of the weeks. It doesn't take much guys! Health and fitness immediately jumped up to the next level and I was making a lot of progress, until a deadlift injury derailed me. Whoops. Business made some improvement. I often didn't reach my targets, because I was so un-used to setting goals that I usually bit off more than I could chew. Chris drilled the importance of figuring out what that "one thing" to get done needed to be, and make sure you at least get that done. Which I did almost every week. He gave me strategies for managing time throughout the day. And while I wasn't always successful at executing, I had some days where I felt like a superhuman, knocking out huge tasks in a day that normally might have taken me a week. Beyond just the tactical stuff (which was helpful) Chris has a lot of wisdom, and just getting his thoughts on some of the stuff I was dealing with was invaluable. Also, knowing that he was going to be checking in on the weekly call, put pressure on me to actually have goals set. I didn't want to be unprepared. The only reason I had to back out, was that I'm in a pretty tough financial spot, and had to cut out any expense in my life that wasn't directly related to fulfilling orders or keeping the lights on. If you're on the fence... I'd suggest you give it a go. It will be money well spent. Jeff Noel, Kruiser, Andy Black and 4 others like this. You haven't done anything all week. WHY? Shoot.... another missed day. How did that make you feel? Did it set you up to do even more the next day or tear you down? Do you want to know the difference between successful entrepreneur and everyone else? They make sure someone holds them accountable since going at it alone can be difficult without anyone to answer to every day. And you can too. Below I am going to lay out the steps and complete framework of how you find the right accountability partner (or hire one) and all the documents you need to make it impactful for your business starting right from the first week. 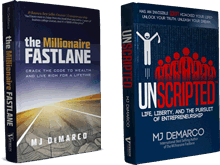 I have refined this system further over the last year to make sure it focuses both on business and the rest of life, because you can't be fulfilled if you let everything fall apart just to make money. I am willing to bet that is isn't just this week that you have struggled with not getting things done? If I am right, one of the helpful things you can do moving forward is to make the decision to commit to this process. You can think about it all you like, but being committed means showing up to your call, on schedule every week and making sure that you made your best effort to accomplish what is on your list from the previous week to move your needle forward. You can not (and your partner can not if its a group) move forward and make this effective until it is certain in your mind that you are committed to this process. I have my clients sign a promissory document that agrees to being full into this process quarter by quarter. So you are fully committed and have decided you can't go at it alone and want someone to hold you to your word and make sure every week you are pushing forward and give you that push you need if you fall off. Now we need to find or hire the right coach. Should you find a good partner or hire one? This is going to depend heavily on how much experience you have, or your potential partner has. A good accountability coach is inexpensive compared to the amount of income and life change you will experience, so don't get scared at the price tags on some of them if you are going to hire one. There is a reason it can seem like a chunk of money, it's because they work. When you hire one, you can assume that they know the structure well, and they know exactly how to be effective in goal and strategy session and can keep things simple and succinct. If you have or know a partner that you can do a shared group with, excellent. My advice is to make sure that persons values align with yours in the sense that someone with little business and/or life experience wont always be able to know whether the goals and strategies you are setting up are valuable and achievable each week. This can be the difference between success and failure with a partner. Finding a shared partner is not always easy. I turned down quite a few shared partners on my journey because I didn't feel like they either had enough experience, or ultimately they had way more than I did and the group was going to be far too unbalanced to be beneficial. Hiring one can be a great way to shorten that process and also serve as another element that commits you to the process. So here we go. You've found or hired a partner and you are ready to go. Here are the steps, then we will expand. schedule a discovery call where you set up your weekly call time and get background info. For most this will be sun-tue but it can be any day of the week as long as it is consistent. Same with the time, pick a time that works for you and your partner where you will both be in a clear work-centric environment. Your weekly calls will be 1 hour if its a 2 person shared group and 30-45 min if you hired a coach. Each week you will get on the call and take turns going through the process. The first person will go through their updates, 2 minutes a section, of what they accomplished and where they might need to adjust. That same person will then go through the goals that they are setting for the upcoming week. For the listening partner, the goal is to make sure those goals are very clear, are meaningful, and achievable. You should be checking to make sure they are not just adding easy tasks week by week, that is what a productivity system is for. The listening partner will also be the one holding the talking partner to the time limit. Don't be afraid to tell your partner they are chatting too much and getting off focus. Finally Partner 1 will go over the final section which is how they are going to move the needle this week. This could be a main goal that ties with several of the items in the list, or a single one. But this is where we define our "must do" for the week. It ensures that if the world is a blaze, that partner is going to move forward one way or another this week. Switch. After partner 1 is done (~30min) Then the other person will go. The call should be short and to the point and then both of you will be off to the races. With my clients, We do a very specific initial assessment, and then one every quarter to track and put data to how fast and far we are moving forward. This also will reveal whether a certain area is sliding or falling off and gives us the signal that something needs to change to get that person back on track. You can make your own version of this. I always use a shared notebook in evernote.com when i do these. It can be done in gdocs or whatever is easiest with your partner. Below is a link to the template for the weekly calls (word and evernote), as well as a print version if you want to write and not type while you are on the phone. Copy this template into whatever program and rinse and repeat each week with the current weeks date. There is also an example document filled out so you can have a reference if needed. Do you want the ultimate shortcut and hire a pro? If you can't find the right partner or you just want to not waste time and get someone with experience in this to start nailing your goals, you can hire me. I will work with you on achieving your goals & dreams, as well as teach you how to properly set your targets if you have struggled with it in the past. 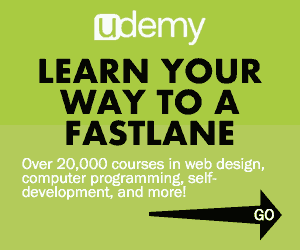 For the fastlane, I have created 5 spots on my schedule that are half the current monthly rate. Because this is scheduled time I can not offer more than 5 of these spots so once they fill up, they are gone. If you are on the fence, JUMP. Whether you find your own partner or hire me, this can be one of the most impactful things you do for your business & life. You can verify with both @GlobalWealth and @Hong King Kong. I will tag @Vigilante so he can give you an idea of the benefit of being directly connected to other notable entrepreneurs and how it can change your life and your business on a dime. I have no idea if your roster of clients is full right now or not (as I forgot to ask you) but I thought I would drop in with the following. I had a quick discussion with Lighthouse/Chris today, and here's what happened. As he has done in the past, he gave me a simple idea for my business that I had not thought of. I will immediately set to work on his idea, because it was golden. Sometimes all it takes is a fresh set of eyes, and usually that perspective is uniquely from @LightHouse, to cast a new winning suggestion for businesses in the stage of business mine is. It is these same gold nuggets that I used from him during my last business to automate it, structure it, and ultimately sell it. His wisdom seems simple to him, and he often brings to the surface things that "I should have thought about." But I don't, and he does, and that's why he is a winning coach. If you have a chance to get mentored by him, take it. His out of the box thinking again and again makes a significant difference. LinorCG, LightHouse, Roz and 6 others like this. Great ideas require great executors This time around there is a massive exit on the horizon for you. Thanks for posting that! Vigilante and LinorCG like this. It's Monday aka my favorite day of the week. I get to hear how people are smashing their old beliefs on what is possible and breaking through. I get to hear these folks set goals and milestones with their businesses and move forward at lightning pace, never leaving a week to the trash. If you aren't planning your weeks out, and you do not know where you are doing STOP, and do it right now. Plan the week out with what you need to do to move yourself forward with your life and your business. I promise you this week will be different from last week. Jello and Roz like this.